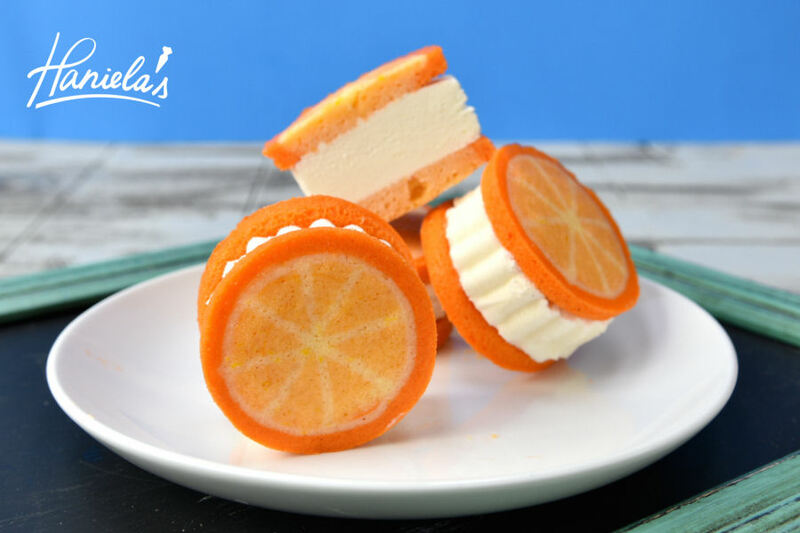 I made delicious Orange Whoopie Pies that look like orange slices and then I sandwiched super creamy vanilly ice cream rounds between them. So good. Stir flour baking powder and salt, set a side. Whisk egg vanilla and orange zest. Beat butter and sugar until creamy and fluffy, add egg mixture, beat until doubled in volume and creamy, pale in color. Divide batter into 3 portions. Color largest portions with light orange and one smaller portion with orange- achieving darker shade of orange. Keep one portion uncolored. Fill the piping bags with the batter. Spray whoopie pie pan with nonstick spray. Let cool on the baking sheet for couple minutes then transfer to a cooling rack. Cook completely before filling. Soften the ice cream, spread onto the small baking sheet, freeze. Using a metal cutter cut out rounds. 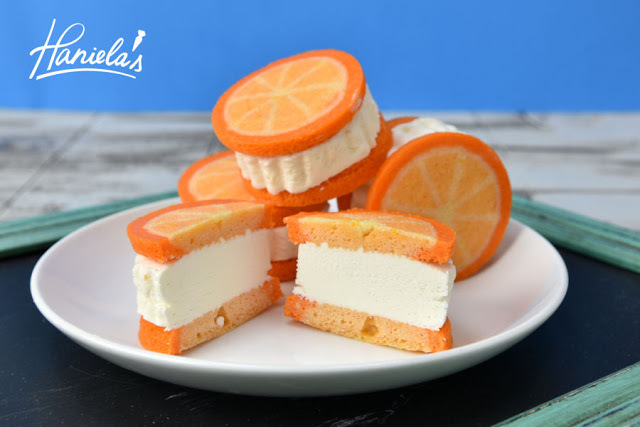 Sandwich ice cream rounds between 2 orange slice cakes.